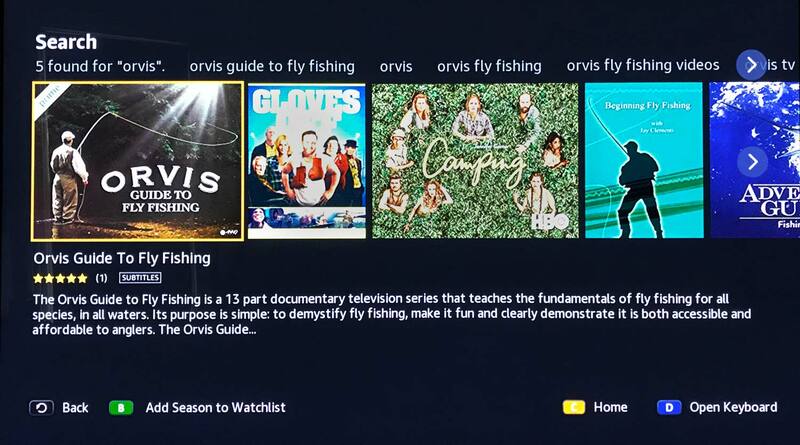 The Orvis Guide To Fly-Fishing is now streaming on demand on Amazon Prime. I don’t think I’ve ever seen a more clear and thorough tutorial on fly fishing. Host Tom Rosenbauer strikes an amazing balance of covering both basic and advanced techniques in a way that absolute beginner can understand, while serving up details useful to advanced anglers. Tom does more than make it look easy. He gives you the tools to make it easy, and fun. Each episode features casting instructor Pete Kutzer with a segment on casting skills specific to the topic of the episode. Even if you are an advanced caster, there’s plenty to learn from watching pete. He has some of the best technique I’ve ever seen. Each episode is devoted to a specific topic and, of course, covers every modern technique for catching trout, but doesn’t stop there. Tom covers topics and species from bass to bonefish. The thirteen part series is free to watch for Amazon Prime users. This entry was posted in How to Fly Fish by Louis Cahill. Bookmark the permalink.